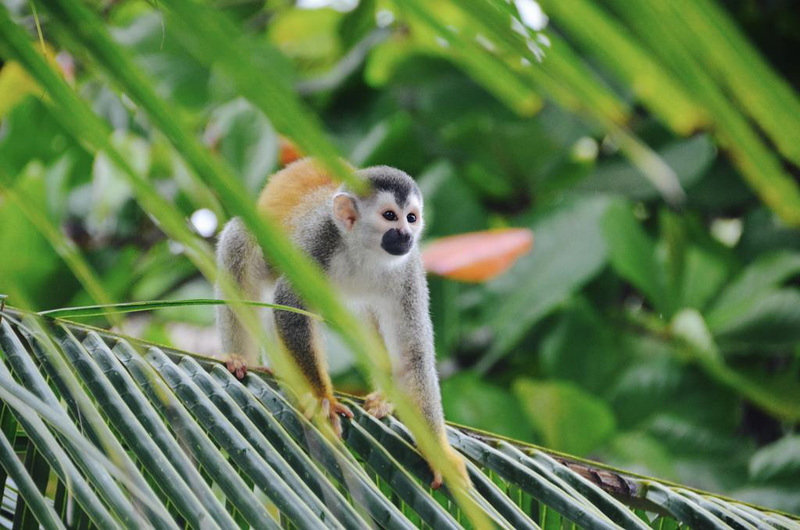 The country of Costa Rica is nothing short of paradise for nature lovers and adventurers. Peppered with dense forests, diverse wildlife, and magnificent mountains, the land is a far cry from the concrete cages of cities. Glamping or glamorous camping is a recent trend that has taken the industry by storm. It is the meeting ground where nature and luxury go hand in hand. 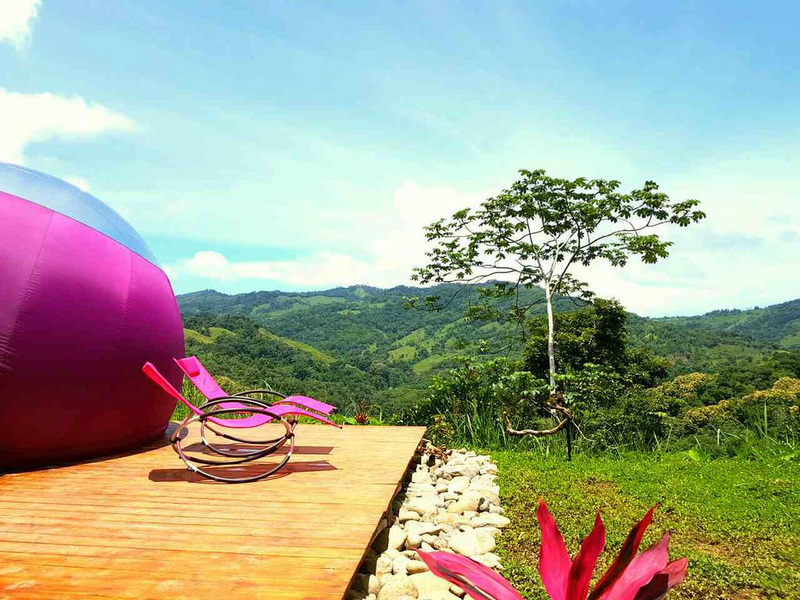 The Love Sphere located in Platanillo, Costa Rica is among the few places that offer you an unrestricted view of wilderness but not any of its discomforts. You can now camp out, stay in a tent under the stars and basically enjoy every experience associated with camping without compromising on your comforts. 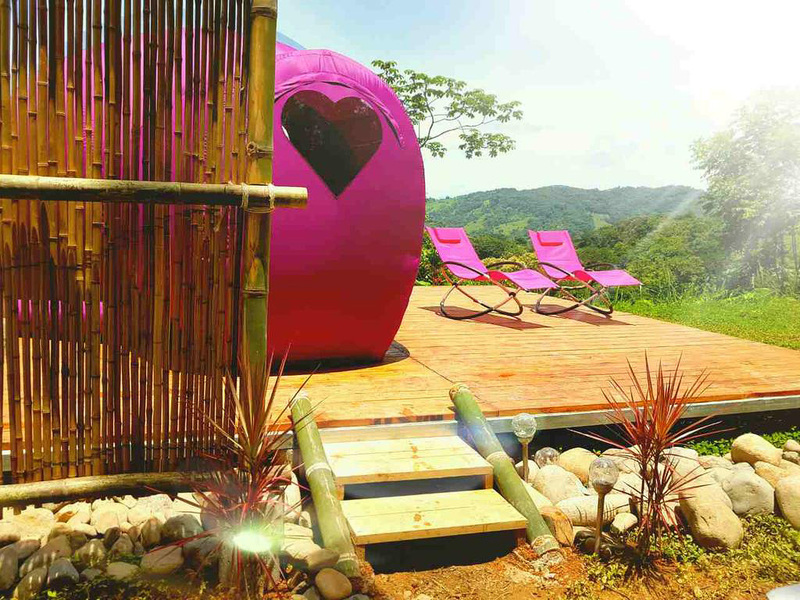 The Love Sphere is your modern-day compact tent overlooking the picturesque hills and green forests. The small sheltered lodging space comes with a separate garden and barbeque as well where you can host get-togethers with your friends. The Love Sphere has been in business for 10 years now and perfectly represents the harmonious relationship shared by the locals and the tourists. On the downside, there is no internet connectivity here. And obviously, there will be no room service or a team of staff members at your beck and call. Travelers and vacationers want extraordinary experiences – some prefer the primitive rawness of nature, while the others are looking for high-end resorts and five-star hotels. Why not combine both? This holiday season; chuck the sandy beachside resorts for a more glamorous accommodation. Love Sphere is a small pink bubble tent set in the middle of nowhere. But unlike other camping tents, the sphere is not devoid of the bare necessities required for your stay. You get round the clock water and electricity supply, well-furnished rooms, a BBQ section, well-maintained gardens and free parking. It’s pretty much like staying in a luxury hotel but with a better view. The Love Sphere carries on with the tradition of sustainable coexistence and harmony with nature. The land of the South Pacific is peppered with biodiversity, both in terms of flora and fauna. The Love Sphere has been around for more than a decade now, serving couples and solo travelers a memorable stay in the lap of nature. The place is managed by a team of dedicated nature enthusiasts, Ysa, David, andLouey. The hotel also gets support from the locals of the area, adding on to its authenticity and charm. As we’ve already established, the Love Sphere of Costa Rica is not your regular camp-out space. In fact, the accommodation is the very opposite of a traditional campsite! The bright pink bubble-like structure is in sharp contrast with its surroundings. One doesn’t really expect a chic and quirky lodging space in the middle of the forest. However, even though the sphere doesn’t blend in with the background, it seems to belong there. There’s a wooden deck with vibrant pink chairs for you to lounge upon. The tent comes with a private pool, shower stalls, a garden and a BBQ section to host parties and get-togethers. Guests get to choose among three distinctively different and equally luxurious accommodation options. The Villa Valley of the Horses is the most expensive and elite section with its own pool and Jacuzzi. The Love Sphere caters to couples who want a bit of privacy to rekindle their romance. 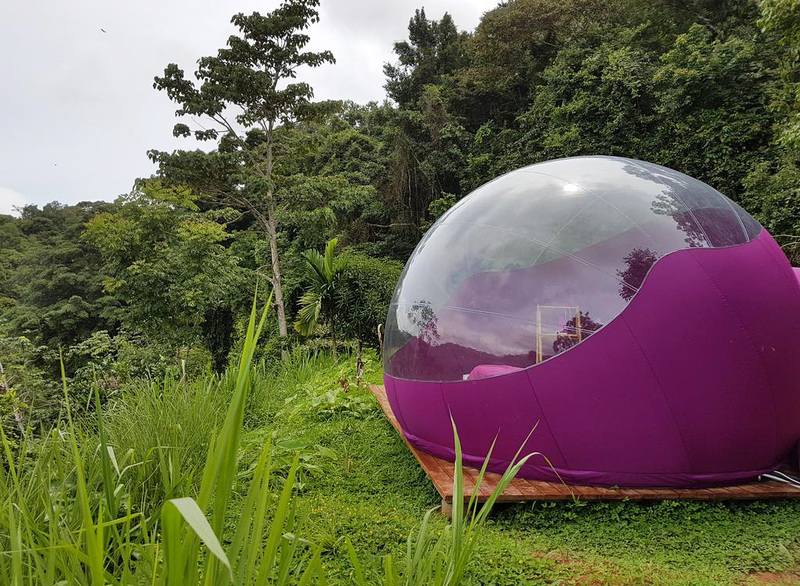 The Lost Sphere is more suitable for solo travelers and small families. Everything about the love Sphere screams out romance and intimacy. The floral décor, the heart shaped windows, the plastic ceiling that provides a clear view of the night sky – it all sets the mood for some loving. The Love Sphere is an all-and-out honeymoon suite. It is the ultimate romantic gateway for couples who want to spice up their love and fall in love all over again. The magenta tent bubble is like a warm cocoon that envelopes you and your partner in an isolated, intimate space. For the duration of your stay, your world is but limited to the sphere and the lap of nature surrounding nearby. The couple can enjoy the garden space, a private BBQ, or take a dip in the pool nearby. The insides of the tent are equally (if not more) colorful and attractive. Pink seems to predominate the entire décor of the place-both the exterior framework and inner bedrooms. There is a huge king-sized bed with rose-petals strewn on the mattress, a side table and a heart-shaped window on the side through which the sunlight can stream in. The ceiling is made of transparent plastic that gives you a clear view of the skyline. The sparse wooden furnishings are locally manufactured, promoting the local tribes of the area. The bathing space and shower stalls are located a few steps away. The Love Sphere gives you the privacy and isolated setting required to rekindle the romance and reconnect with your partner. But that doesn’t mean, you are completely cut-off from civilization. It would be a shame if you come all the way to Costa Rica and leave without exploring a bit of the country. 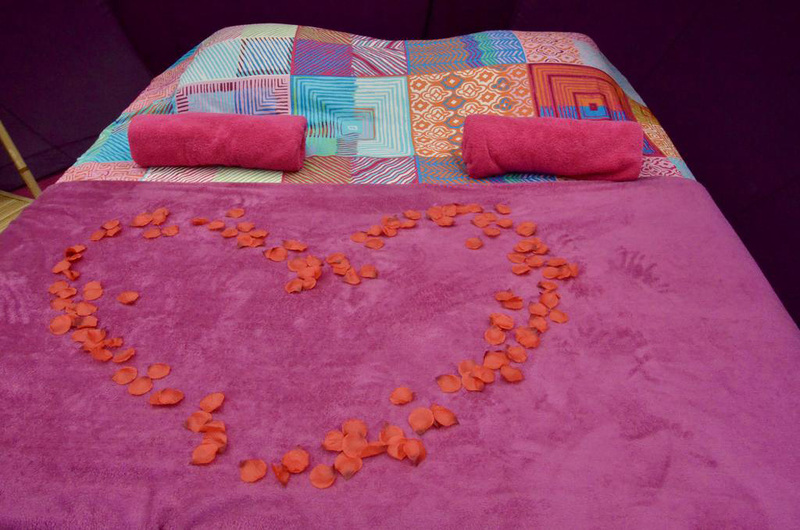 We understand you might not want to leave the confines of the intimate love sphere. The tent is so cozy and equipped with everything you need, it does get difficult to let go the material comforts and peace you find here. However, the nearby cities and tourist attractions are pretty fascinating; you wouldn’t want to miss it for the world. The Baru River is but a short walk away, where you can swim, go tubing or just sunbathe. Even the trail following the Nauyaca Waterfalls is very scenic and enjoyable, especially if you’re on horseback. 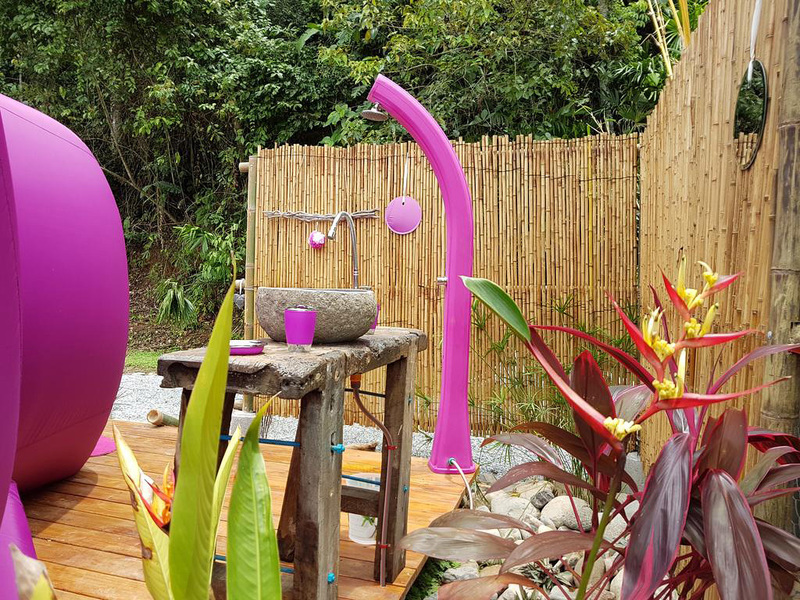 The Love Sphere is about 40kms away from Manuel Antonio and Quepos. It is 19kms from Playa Hermosa and the nearest airport is 50kms away. You can even pay a visit to the Alturas Wildlife Sanctuary to learn more about the biodiversity of Costa Rica. The fact that the hills (or nature for that matter) aren’t exactly the most hospitable of living spaces, dissuades us from executing our plans of getting away. If only there was a place where you could enjoy nature in all her rawness without having to compromise on your everyday luxuries- somewhat like camping, but more glamorous. Love Sphere is that place; a zen den for lovers to escape into a little cocoon surrounded by the beauty of nature.